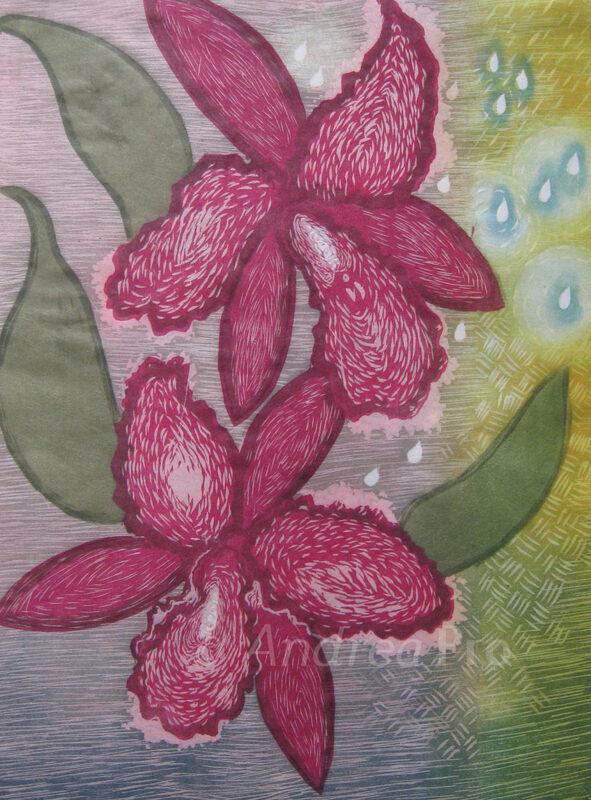 Inspired by a visit to a local orchid show, this was the first print I created after my father passed away. I believe it was the intense, almost overpowering, beauty and presence of the orchid that captured my attention and reignited my creative spirit. Printed on Owara mulberry paper with deckle edges.